Acura's 30th-anniversary tribute video will make you miss the original NSX. You may not have realized it, but this week marks the 30th anniversary of the iconic Acura NSX supercar, which revolutionized the supercar segment after its introduction as the NS-X Concept at the 1989 Chicago Auto Show. To celebrate its anniversary, Acura will be hosting a panel at the 2019 Chicago Auto Show looking back at the car's origins, its impact in the auto industry, and how the next-generation NSX continues the original's legacy. 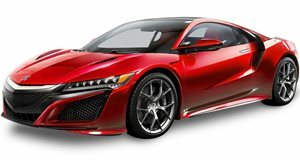 Joining the panel discussion will be Jon Ikeda, Vice President and General Manager of Acura, and Csaba Csere, former editor-in-chief of Car and Driver magazine, who attended the reveal back in 1989 and was one of the first journalists to drive both the original and second-generation NSX. Acura has also released a tribute video looking back at 30 years of the mid-engined supercar and features never before seen images from the original NS-X Concept reveal. The NSX stood out from the crowd thanks to its exotic styling, all-aluminum construction, and a powerful, mid-mounted V6 delivering 270 hp. In comparison to other European exotics, these attributes didn’t sacrifice the car’s comfort – this was a supercar you could live with every day. "Before NSX, it was always assumed that supercar performance came at the price of a comfortable interior and everyday drivability," said Ikeda. "NSX shattered those notions, and raised the bar on every other exotic and supercar maker, with the effects still felt today. NSX was a huge inspiration and one of the major reasons I was drawn to join Acura nearly 30 years ago." Time will tell if the next-generation NSX will be looked back as fondly as the original in 30-years-time, but we're not holding our breath.